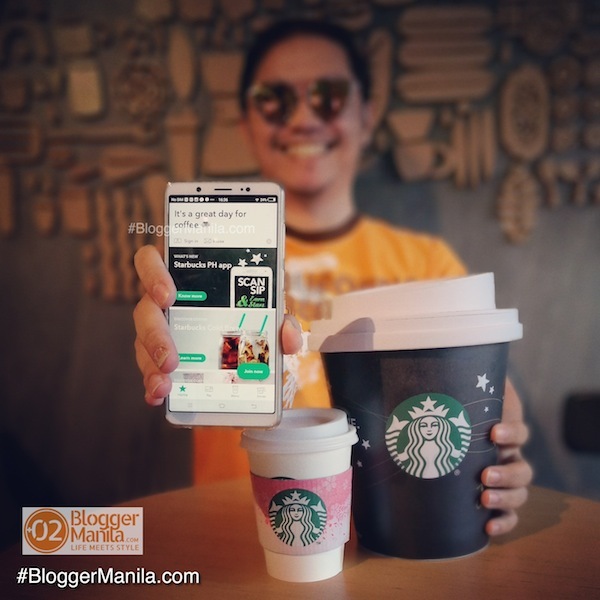 You can now order coffee and pay with your smartphone as Starbucks Philippines unveiled today the Starbucks PH App – a mobile app providing a fast and convenient payment method for customers at more than 300 stores across the country! As the first coffee retailer to offer this innovation in the Philippines, the Starbucks PH App integrates the popular Starbucks Card payment method and My Starbucks Rewards on customers’ smartphones. 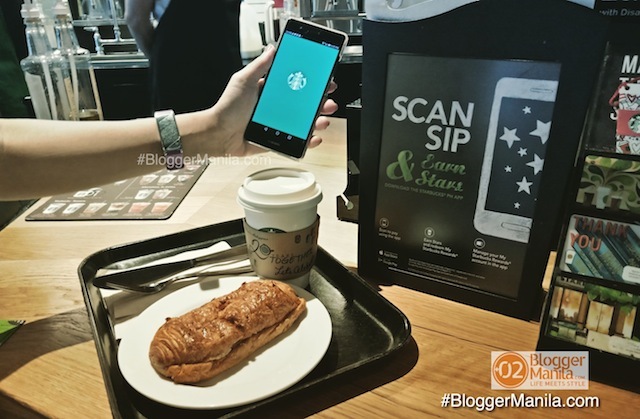 Starbucks PH App Announced Today! 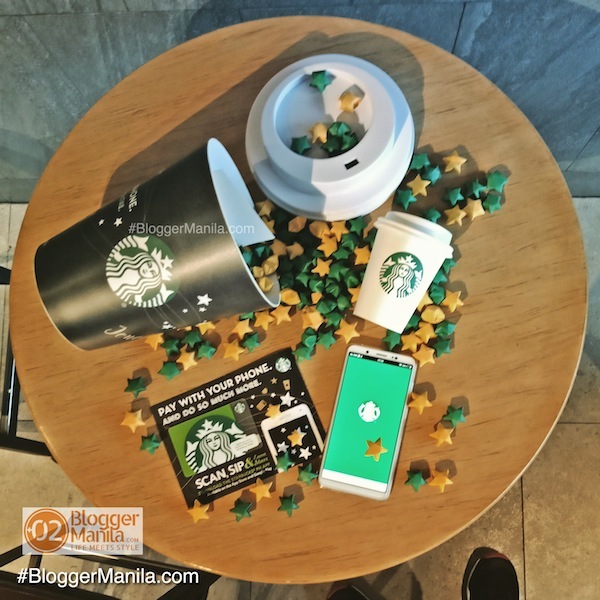 The Starbucks PH App keeps customers in the loop, making sure they are the first to know the newest product offerings and promos. Customers are notified whenever new messages are received on the app. Scan, Sip, & Earn Stars . . . with the new Starbucks Philippines Mobile App! What I like most is that I don’t have to lug around my physical Starbucks Cards! I usually forget to bring it with me on my wallet and I hate paying with cash as I’m collecting stars through the use of my Starbucks Card. With the Starbucks App, there’s no need for the physical Starbucks Card! Moreover, users of the mobile phone application are in for a treat as they receive special offers and event invitations straight into their app inboxes. As an added bonus, users can also share these offers with friends through email and social media accounts. Scan, Sip, & Earn Stars! Register to a My Starbucks Rewards account and easily track your Stars and rewards on your phone! Pool your Starbucks Cards into one account and deactivate a lost Starbucks Card within the app. Users can even view past transactions and track their balance real time. No need to bring your Starbucks Card! 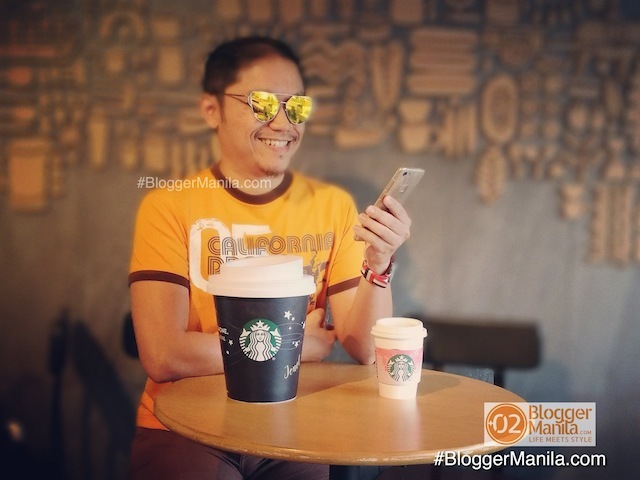 Blogger Manila on the Starbucks PH App & His Super Duper Venti Cup! Congratulations to Starbucks Philippines with this digital move! With the new Starbucks PH App, you can now collect Stars, redeem rewards, receive the latest updates on new products, limited-edition merchandise and exclusive events while experiencing the convenience of cashless payment!